Current certifications with N.I.S.D., A.I.S.C., A.S.C.E., A.W.S., OSHA, and HUB. 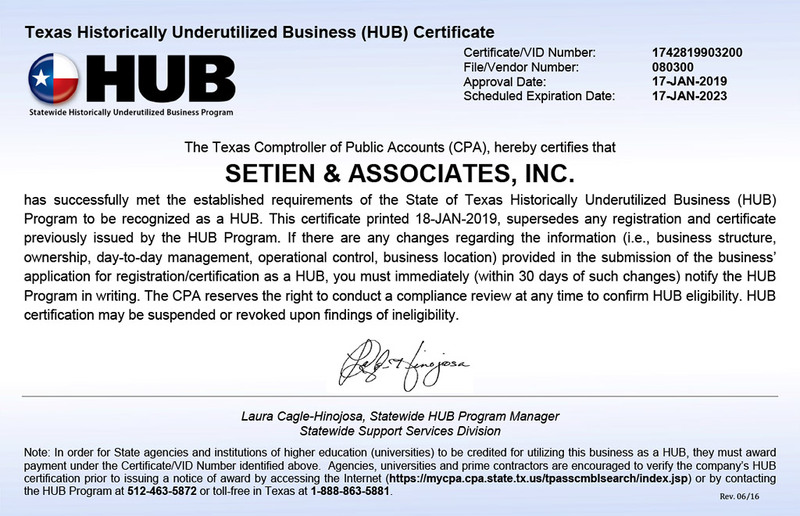 Setien & Associates has successfully met the established requirements of the State of Texas Historically Underutilized Business (HUB) Program to be recognized as a HUB. 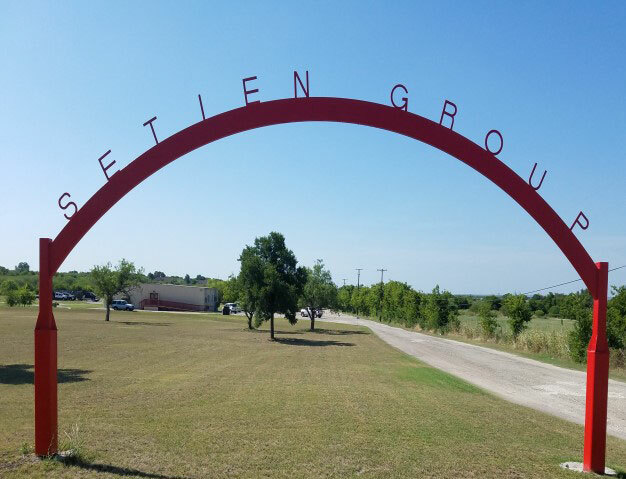 Please contact us to discuss any opportunities that would be mutually beneficial for both of our companies to become involved in or if you have any questions about our company.